Dentistry has come a long way over the years. Can you imagine undergoing an extraction in ancient times with no anesthesia and unsterilized tools? Luckily, we live in the right century when it comes to having a positive experience at the dentist. But no matter the times we live in or current technology, fear of the dentist is a real thing experienced by many Americans. 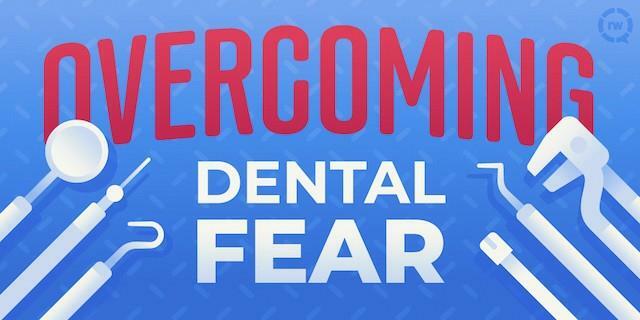 It’s normal to be a bit fearful of certain experiences, but if fear is preventing you from getting the dental care you need, it’s time to find some help. Here are a few ideas to help you calm your nerves! It’s helpful to identify the specific aspects of a dental visit that cause you anxiety. Write them down on a piece of paper. Sometimes this exercise alone can help you identify fears that may be unfounded or overblown by your imagination. Perhaps they can dim the lights to provide a calmer experience. Or they can tell you about what to expect each step of the way. Or perhaps you prefer they remain silent so you can focus on relaxing. Most dental offices work hard to alleviate patients’ fears and may have suggestions of their own for you! Simply having extra social support can make a big difference! Afraid of the needle? Have your friend hold your hand or share a funny story to make that initial twinge more doable for you. Try deep breathing or repeating a helpful mantra. Whether that’s your favorite verse, music lyric, or something simple like “I am in control. This will be over soon,” this affirmation can help settle your nerves. Inform your practitioner when you need a break. Let them know that when you lift your left hand, it means you need something. When you’re ready to proceed, give them permission to continue the procedure. Your dentist will be able to explain the different options out there and any associated risks. Depending on the level of sedation you require, you may need to be referred to a special dentist. If it helps, find some type of reward to focus on throughout your visit. Focus on intrinsic rewards (“I finally won’t have to deal with this toothache”) or extrinsic rewards (“double mocha with whip, please”). For some of us, the fear and anxiety can be so great that we avoid the dentist at all costs. This can be extremely harmful for our health, and can make simple dental problems much worse than they need to be. If this is the case for you, feel no shame in seeking our professional help. Find a local counselor who is knowledgeable in this area. Bottom line: your dental health is too important to let fear stand in your way. Your dental office is just a phone call away from starting the process to getting you the help you need. They are there for you! Good luck!